We've been trained to speak "business to business" (B2B) or "business to consumer" (B2C), but businesses and products do not have emotions—humans do. Many times we fail to communicate with our audience in an authentic way that creates a connection. In this PRO seminar, we'll explore why and how marketing communications need to be adjusted to exude the same simplicity, empathy, and imperfection that exist in human nature. We'll uncover why so many marketers struggle to truly connect with people via social media, and provide you with tips to engage your audience on a human level. Bryan Kramer is a social business strategist, author, speaker, and president/CEO of PureMatter in Silicon Valley. His first book, There is No B2B or B2C: It's Human to Human #H2H , reached the top 1% of business books in its first week on Amazon.com, and he is releasing his second title, Shareology: Using the Study of Sharing to Power Human Business , in the spring of 2015. Bryan was featured on the Top 50 Social CEOs on Twitter Globally list by Huffington Post, the Top 25 Influencers to Follow list by Forbes, and the 100 Most Influential Tech People on Twitter list by Business Insider. Marketing executives, marketing practitioners, managers, HR professionals, and business-minded humans who want to learn how to be better marketers and/or managers by making real connections with other humans. As a special bonus with this PRO seminar, ten lucky attendees will be chosen at random to win a free copy of Bryan's book, There is No B2B or B2C: It's Human to Human #H2H . To qualify, simply complete the short survey at the end of the live Q&A session. 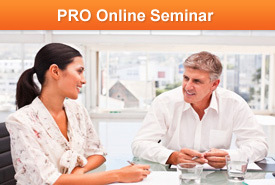 "This seminar, hands down, has been my favorite MarketingProfs PRO seminar that I've ever attended. Bryan is a great speaker, shared fantastic insights, and his excitement and love for humanizing brands was undeniable. This is a must-watch, for sure." "Lively. Brian was a fun and energetic speaker who not only knows marketing but also how to communicate in the digital age. I also loved his insights about his own career and how sharing saved it!" "What a wonderful seminar and excellent presenter! So many great tips to speak, share, and market human!"